Philip Fulghum was driving alone in rural northeastern Texas when his heart began racing and pounding in his chest. He was miles from a hospital and wasn’t sure what to do. He pulled into a neighborhood emergency clinic between his hometown of Daingerfeld and Longview. There were other clinics in the vicinity, but this one had a sign indicating an affiliation with a hospital that Fulghum knew was in his insurance network. “They treated me real well, rushed me in, gave me an EKG, and said ‘it’s serious,’” Fulghum, 62, recalls of the incident last May. Turns out, he had a severe heart blockage. He was taken by ambulance to the hospital in Longview. His short stay at the clinic generated a surprise medical bill in the amount of $1,579. Fulghum thought his care there would be in-network. It wasn’t. He was charged for out-of-network “emergency evaluation and management services” and other treatment. He’s still gradually paying off the bill. Patients often rush to the nearest emergency room and unknowingly get treatment not covered by their insurance network. The insurer and medical provider may fight over the bill. But instead of resolving disagreements, they often dump it onto the patient in the form of a surprise medical bill loaded with pricey, out-of-network charges over and above the expected deductibles and copays. As a result, Texans face unnecessary severe financial hardship. “My wife does the bill paying, but I can tell you that bill threw me well into the red,” Fulghum says. Patients like Philip are faced with a double emergency when insurance companies and doctors abandon them to sort through obscure medical bills in their time of need. This practice of dumping surprise bills on patients after their medical emergencies should halt immediately in Texas. As a start, Texas has a mediation system to help consumers resolve certain surprise medical bills, but significant hurdles keep many patients out. Neighborhood emergency rooms like the one Philip visited aren’t included, and several types of doctors are exempt. A single bill must be above $500, and patients have to be aware of the mediation system and start the process even if they are recovering from an illness or injury. AARP is pushing for legislation that can take the sting out of medical bills for millions of Texans. Texas lawmakers can take a number of steps to protect everyone from these surprise medical bills. For one, surprise bills should never result from an emergency room trip. Insurance companies and doctors should be able to initiate mediation to work out their billing differences. Mediation shouldn’t have to only be started by the patient. Today, insurers and doctors don’t even have to pick up the phone to try to agree on a price until a patient has applied for mediation. Doctors and insurers should be encouraged to work out their price differences without patients having to jump through hoops first. Further, mediation should apply to bills from neighborhood emergency clinics. And finally, bills from certain currently exempted care providers — like cardiologists and pediatricians — should be eligible for mediation. 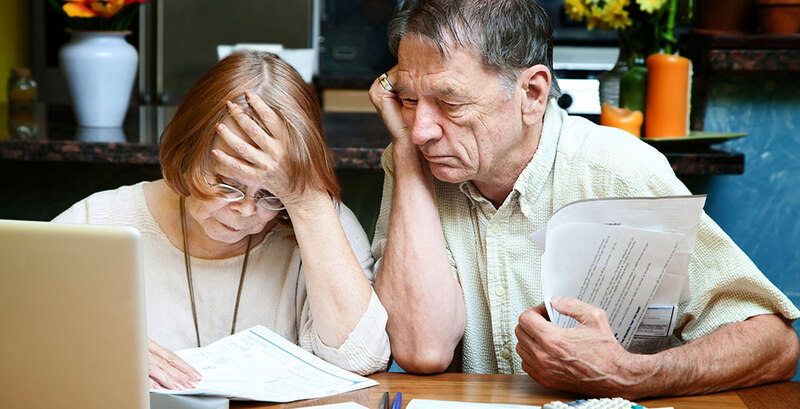 Unexpected medical bills can drive families into bankruptcy even if they are insured, but it doesn’t have to be like this. While medical emergencies are sure to be a fact of life, Texas lawmakers can at least put an end to surprise medical bills.